easier than mahogany? didnt know that was even possible. 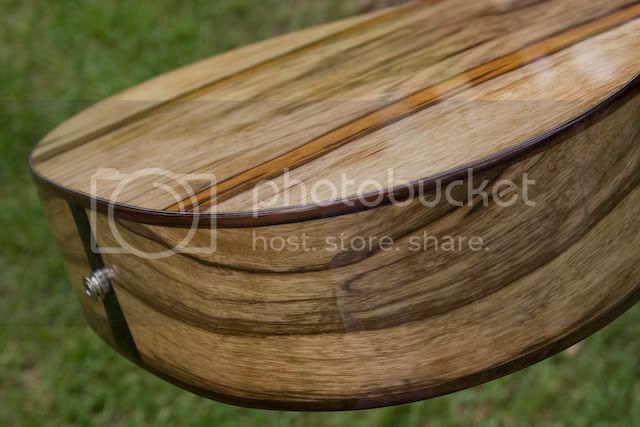 guess ill be looking into picking up some limba very soon. Where do you guys usually find yours? 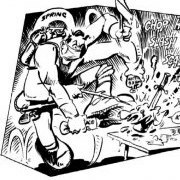 do you have a regular supplier or do you just shop around. You should try bending rosewood, it's very easy. The wood for this guitar was purchased from Rich (Fryovanni) but I've got some from gilmer in the past as well. Hah! 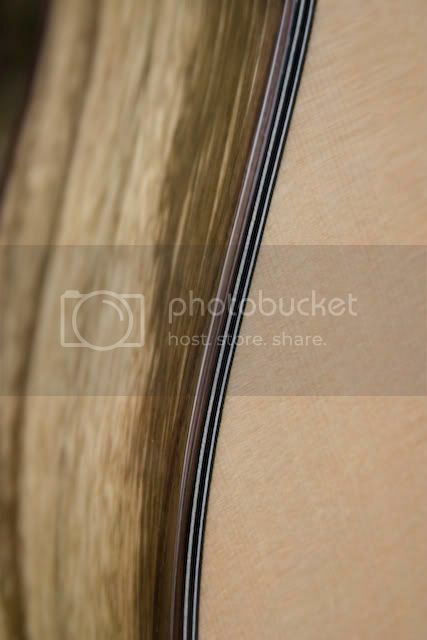 I genuinely laughed out loudly at the idea of using a balloon in the soundhole to mask the inner body. Excellent, and thank you. I love the balloon idea. Unfortunately it's not mine. I don't remember who came up with it, but it was posted here on the forum a while back. Beautiful guitar Daniel ! Congratulations ! awsome work!!!! 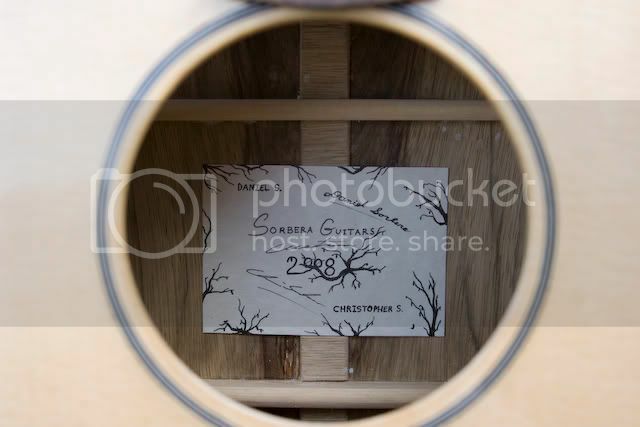 I love the cross inlay, how did you scribe it into the fingerboard so perfectly??? It's just about done. Got all the finish work done and shes a beauty. 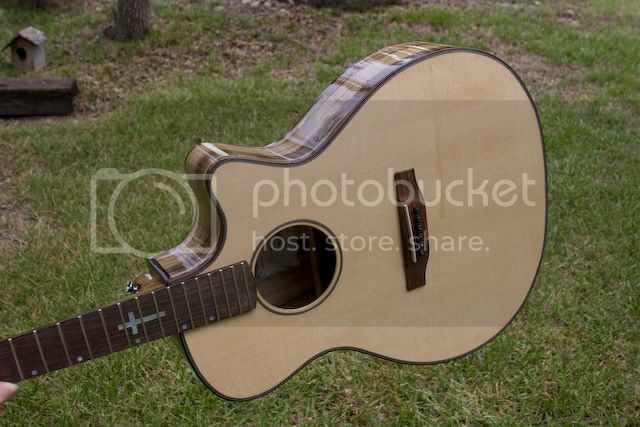 All I have to do is put it together and set it up now, but I wont have strings till tomorrow. I'll take a bunch of finished pictures than. looks good. i would have gone with something a bit darker for the top, but how can you go wrong with sitka s.
All done. Turned out really good. The finish is perfect, a really nice gloss. I have to go get strings tomorrow and than I can finally play it. The tap tone is really good so I'm really excited to be able to play on it. It's light at 4.3 pounds and balances perfectly. It has schaller tuners and fishman matrix electronics. The grain lines on the spruce are 60+ per inch (crazy close), I cant wait to see how it will open up in a few months of play time. Look at that awesome binding. Here you can see the cool label we made for it. About that label though, what is that? Varicose veins? It's trees dude, trees. What you just hate art? Nah, I just have to take a poke every now and then. I really have a lot of respect for your work. You're doing better than I ever could. That thing is just perfect. I hope you don't mind if my first acoustic is a copy of yours. Yep he's the one who inspired me to try an acoustic. It was difficult for sure, but not nearly as much as I made it out to be in my head. You should try it, it's really a lot of fun building acoustic instruments. Interests:My wonderful girlfriend, food, guitars and basses, keyboards, flutes and whistles, other musical instruments, and/or any combination of those. 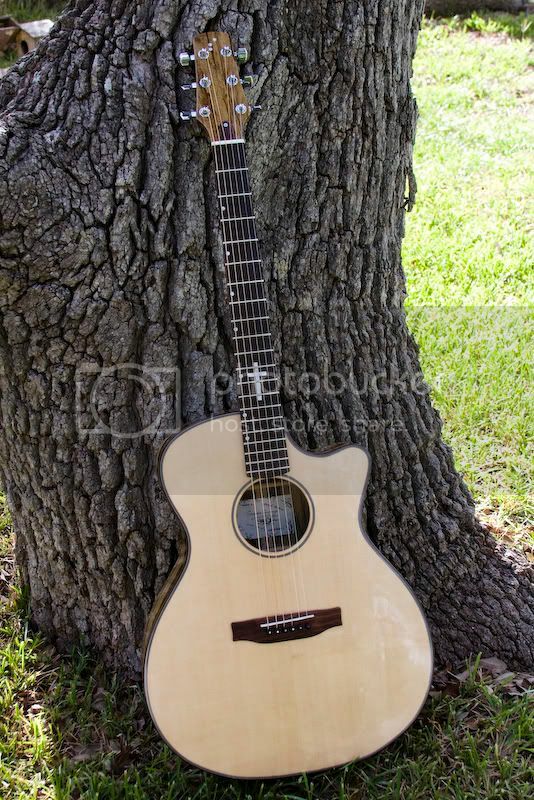 I agree, that is a beautiful guitar. Every acoustic I see from you seems to get better. I am really a big fan of your work, as well as that of Fryovanni and Mattia. 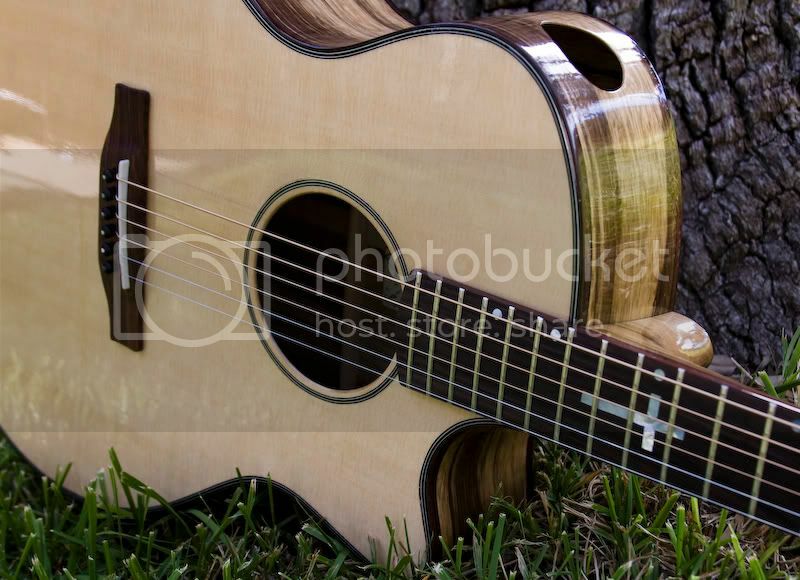 Congratulations on making an awesome instrument! Btw, that second picture is now my computer wallpaper. My wallpaper is still the last acoustic we made. Chris is going to make some really good wallpapers of this one and put them on the website. I'll tell you when they are up. 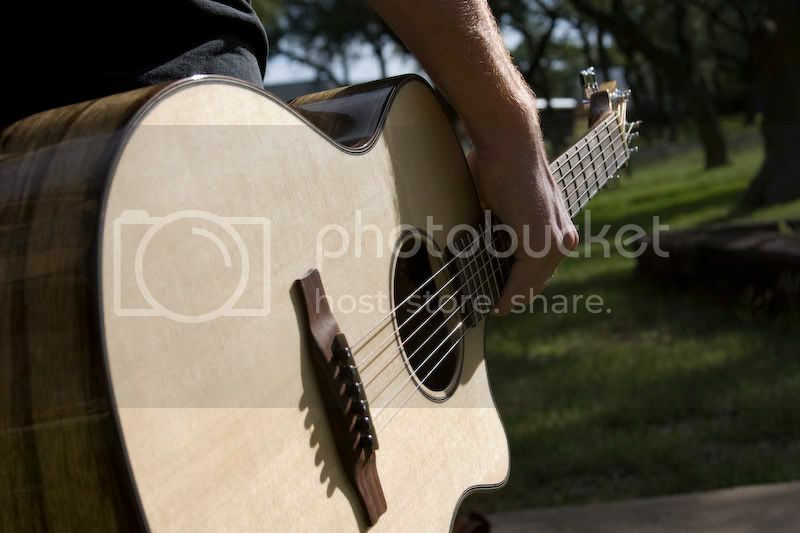 Man, that guitar is awesome! 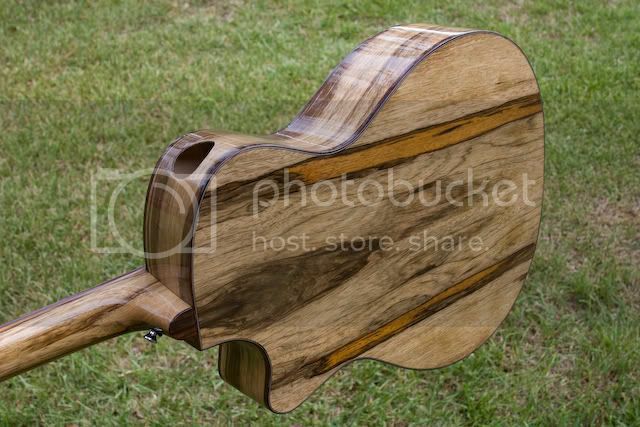 It is so beautiful...I just love black limba. Is this one for you, or is it sold? You guys are really knocking out some gorgeous guitars. Well done. Good for you...it's a very nice guitar. I have one more electric project on the board before I get to building an acoustic. I have been reading up though. Cool! I love building acoustics. Shoot me any questions you have when the time comes. Alright here are the final pictures with strings on. It already sounds amazing. 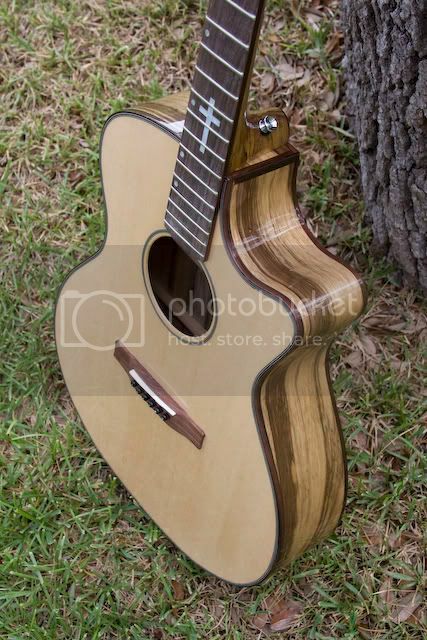 The extra sound hole on the upper bout not only makes it sound good for the player, but it gives it a very 3D sound in front of the guitar too. If I cover it up it sounds much more muffled and sterile, but when you uncover the hole it has a really great 3D sound, almost like there is a chorus on it. It also has really good bass response. I was expecting a much brighter sound, but it sounds really balanced and is extremely loud with good bass response. It's louder and has more bass than my brothers takemine dreadnought, and of course has better more clear highs and strong mids. I'm extremely happy with how it turned out and I know it will just get better in the months to come. Oh, cool! I missed the extra sound hole. I thought the hole was for some electronics or something. Cool idea. Daniel, are you using nitro for your finishes?